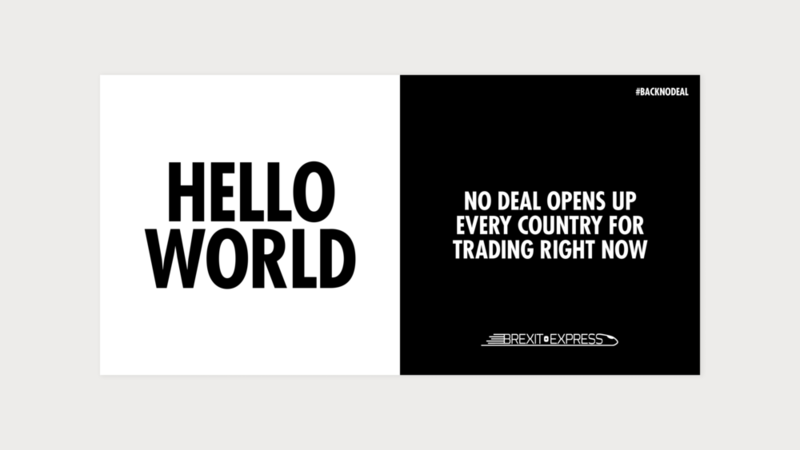 Two, relatively non-political, remainers writing ads in support of a No Deal Brexit? We get the irony. But sometimes you’ve just got to do work that pays the bills. 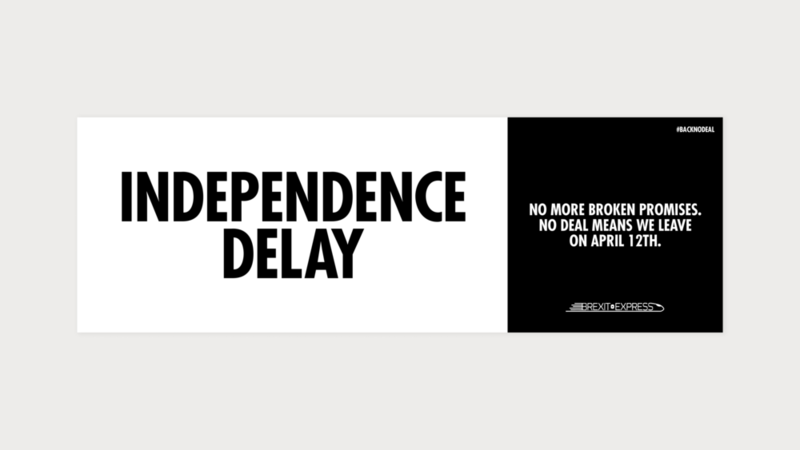 So when Brexit Express (an independent, not-for-profit, pressure group supporting Britain's withdrawal from the EU) approached us for help with some ads, our mortgage repayments took precedence over our long-forgotten political allegiances. Naturally, it divided the Twittersphere. BBC News took an interest, if only to discuss the merits of the humble billboard.